Fantastic Wireless Transmission Range – Up to 800 metres! 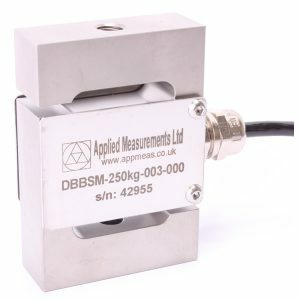 The T24-SAf 2kHz wireless strain gauge transmitter module enables fast, high accuracy wireless measurement of signals from bridge-based transducers such as load cells, pressure sensors, torque transducers and displacement sensors. Transmission ranges of up to 600 metres are possible using the internal antenna, while the use of an external antenna increases transmission range up to 800 metres. The T24-SAf 2kHz wireless strain gauge transmitter module requires a power supply of just 3Vdc to operate which is typically provided by 2x ‘AA’ batteries and provides a highly stable, high resolution signal that can be received by any of the T24 range of 2.4GHz telemetry instrumentation. The output rate is fixed at 2000 readings/second with a noise-free resolution of 1 in 8000. The compact T24-SAf strain gauge telemetry acquisition module can be integrated into load cells and other sensors if sufficient space is available. Alternatively, it can be mounted into either the T24-ACM(2x ‘D’ size batteries) or T24-ACMi (2x ‘AA’ size batteries) battery-powered modules to complete your wireless sensor. Please contact our expert sales team using the form in the sidebar, call us on +44 (0) 1189 817339, or send an email to [email protected] and we will be happy to assist you with your enquiry.